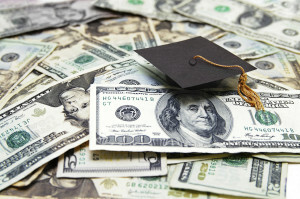 Home › FAQ › What are Good Resources to Look for Financial Aid for College? You may already know that you need to file the FAFSA, but you may not be aware that there are other resources for financial aid for college. If your parents make a healthy living wage or even an average salary, you may find that you only qualify for loans. Paying back those loans can reduce your future happiness and leave you struggling to pay all your bills. When you get scholarships and grants, you get free money you can use for tuition and all the others cost of going to college. Start your search for free money with organizations right in your own community. Did you know that many fraternal lodges and similar groups often offer scholarships for the children of members? You may get a few hundred dollars just because your dad is an Eagle or Lions member. The VFW and other veterans organizations may have grants for the children and grandchildren of veterans too. Look for nonprofit organizations and charities that need volunteers too. Some of these groups reward volunteers with grants and scholarships before they go off to college. If your mother and father work, their employers may serve as unexpected resources for financial aid for college. Many companies offer financial assistance to the children of employees as a way to thank employees for their hard work and to show their commitment to the community at large. They know that spending a few hundred dollars may help that student finish school and go to work for that company or help support the local economy later. Even if you only get a small amount from those employers, the money can go a long way towards paying for your textbooks. Turn to the Internet for help finding contests and competitions with cash prizes in the form of scholarships and grants attached. Though you’ll find hundreds of scholarship websites, you can easily weed out any website that charges a fee for its services. Reputable scholarships will never charge you money for entering. You can win cash prizes for writing a short story or essay, creating a logo for an advertising competition or for creating a fun song. Many of these scholarship contests are only open to high school students or students currently enrolled in college. U.S. News and World Report contributor Janine Fugate recommends that you turn to the guidance counselor at your high school for help. In addition to giving you resources for financial aid for college, your guidance counselor can also give you advice on how to apply for scholarships and grants. You may even get help writing an essay for a contest or securing transcripts and other official information from the school to apply for scholarships from the college or university you decide to attend. Guidance counselors generally have detailed information regarding financial aid programs and packages in the local area, schools across the state and even from colleges across the country. Even if you complete the FAFSA and find that you only qualify for student loans, you can get additional funds for college. Some of the best resources for financial aid for college are those right in your school and in your community, including employers, nonprofit organizations and even your own high school guidance counselor.